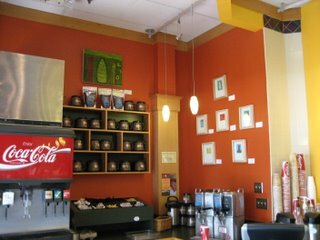 I hung my work at boheme cafe today! "With Love" is finally finished and displayed prominently in the window. It will be up through the beginning of September. If your downtown, please stop by to check it out, and grab some breakfast or lunch! 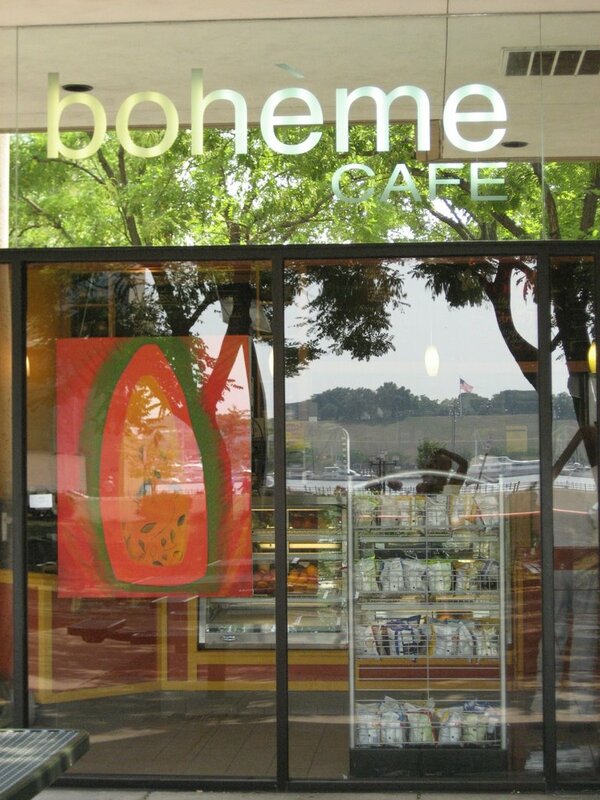 The food is yummy and the produce they use is locally grown. 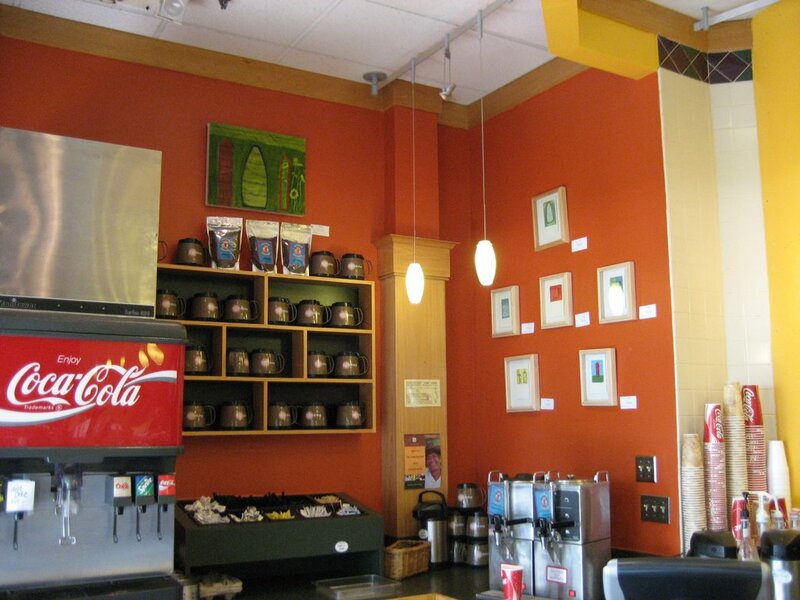 The cafe is located at 400 E. Pratt St. (across from the aquarium). Check them out at www.bohemecafe.com.